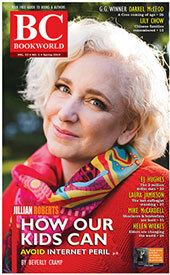 Here is a description of the book provided by the publisher: "When Bobby Ackles became the B.C. Lions original water boy, he probably never dreamed that he would lead the team to a Grey Cup victory over 50 years later. From his earliest days with the team to becoming its general manager and now president, Ackles has demonstrated a commitment and dedication to football in the CFL, NFL and XFL. After leaving the Lions in 1986, Ackles joined the Dallas Cowboys as Vice-President and served six seasons with them before moving onto the Phoenix Cardinals and later the Philadelphia Eagles. In 2000, Ackles was named Vice- President and General Manager of the XFL s Las Vegas Outlaws. With this achievement, Ackles became the first and only man to hold executive positions in all three football leagues. Finally, in 2002, Ackles returned to the home of his first football triumph, and brought the struggling B.C. Lions back to the top of the CFL by 2006. In this engaging personal memoir, Ackles takes the reader through the growing and changing world of football, both from a Canadian and an American perspective, where he lays down the differences between the two sport cultures, and reveals the dynamics of creating a winning team. It s the story of his passion and his drive, and his rise from a humble beginning to becoming one of football s most respected executives." 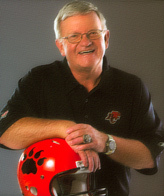 Here is a synopsis provided by the BC Sports Hall of Fame upon Bob Ackles' induction: "Bob began his tenure with the BC Lions in 1953 as the water boy in the team's first season. He worked his way up through the ranks and was named the Lions General Manager in 1975. Over the next 11 years he guided the team out of financial difficulty, built a new training centre and office complex and oversaw the move from Empire Stadium to BC Place. Implementing an aggressive marketing campaign, Bob cultivated a season ticket base of 30,000 fans and on the field the team won their second Grey Cup in 1985.The next season he was lured to the NFL where for the next six years he was the Vice President of Player Personnel for the Dallas Cowboys. He served in similar senior positions with three other NFL teams and the Las Vegas Outlaws (XFL). In 2002 Bob was enticed out of retirement and returned to the BC Lions as CEO and President. Under his leadership, the Lions are once again on the way to becoming a league force. Bob was named to the CFL Hall of Fame in 2002. In 1986 he won the Schenley Award for his contribution to Canadian football, the only non-player to be recognized in the 33-year history of the award. To quote retired Sports Columnist, Jim Taylor, "how do you better define a "builder"; than as a man who was there when the business opened, played a huge role in making it grow and, after he had moved on to greater success and challenges in the NFL, put aside his retirement plans and returned to get it back on track? "; Bob Ackles is a builder of football in British Columbia and the CFL."